Please feel free to download this convenient Hua Hin property listing checklist we have already prepared for you. Follow the checklist to make sure that you have everything in order before you meet with prospective Hua Hin real estate agents. Once you have filled out the check list, you should be ready to put your Hua Hin home & property on the active Hua Hin real estate listings market. 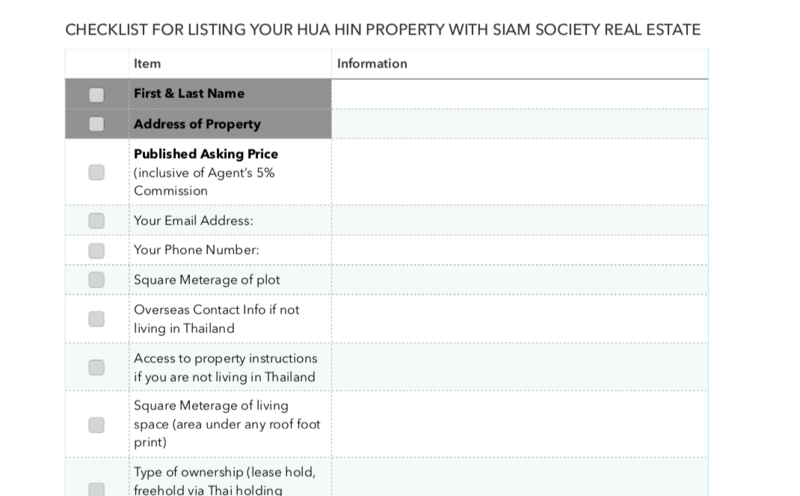 We’d love to be one of your Hua Hin listing agents, but feel free to use this checklist with anyone you like. Good luck!